TA blasts CW for short or no notice on work in apts. In CWCapital’s ongoing effort to renovate as many apartments as possible, tenants in neighboring units have also been made to allow work to get done in their own apartments to replace pipes in support of the work on the adjoining renovation projects. In the process, some of those neighbors have been getting inconvenienced in ways that have, in at least a couple of instances, been disturbing, according to the ST-PCV Tenants Association. In a notice that will soon be shared with neighbors on the TA’s website, the TA noted how management hasn’t been giving tenants sufficient notice before breezing on in, in several cases. In one complaint, the TA heard how a teenage girl, alone at home, got scared when maintenance workers unexpectedly banged on and then opened her apartment door. In another case, a tenant, who gave no authorization for her apartment to be entered, recently returned from a vacation to find her cabinets emptied. The cabinets’ contents were left strewn on the counters, with no explanation. Meanwhile, the work takes one to two days to complete, leaving the kitchen unusable. “Despite the gross inconvenience, management has not offered to compensate affected tenants for the loss of use of the kitchen and the disruption to the tenants’ right to quiet enjoyment of their homes,” the TA said. 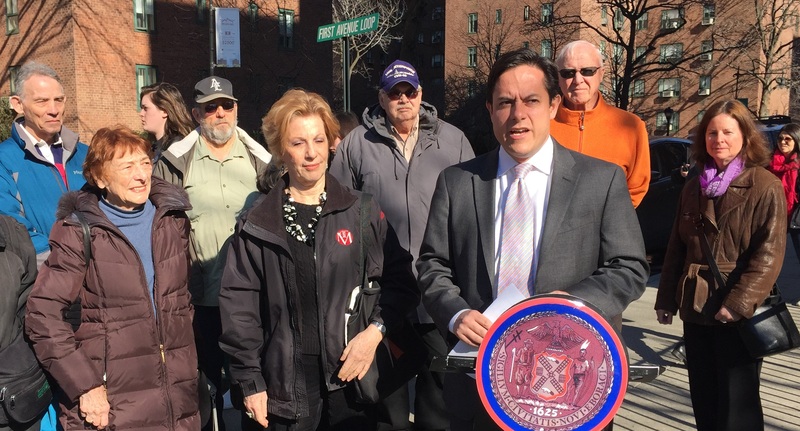 In response to the TA’s concerns, Council Member Dan Garodnick is drafting legislation that would protect tenants from unauthorized entry or entry with very short notice. The legislation would include provisions that in notices requesting apartment access, management would have to provide, along with a callback phone number, an email address or another electronic option for tenants to use if requesting a schedule change. Additionally, notices would have to be dated and sent to the tenants’ email address if the owner has one on file. Lastly, consent would not be assumed if the tenant doesn’t respond. However, if after 14 days there is no response, then an owner could enter the apartment. A spokesperson for CWCapital declined to comment on apartment access or the planned legislation. However, the owner and the TA have clashed on this issue in the past, like last year when management was conducting a round of apartment inspections on safety issues and lease policy compliance. At that time, the TA advised residents to consent to the inspection but be present for it to a recent spate of apartment burglaries that may have been committed by a contractor doing work for CW.